David needs music to get psyched up for his battle with Goliath. Vincent Van Gogh might have been kinder to his ear if only AirPods were around when he was alive and painting. Art already gives us so much to ponder. 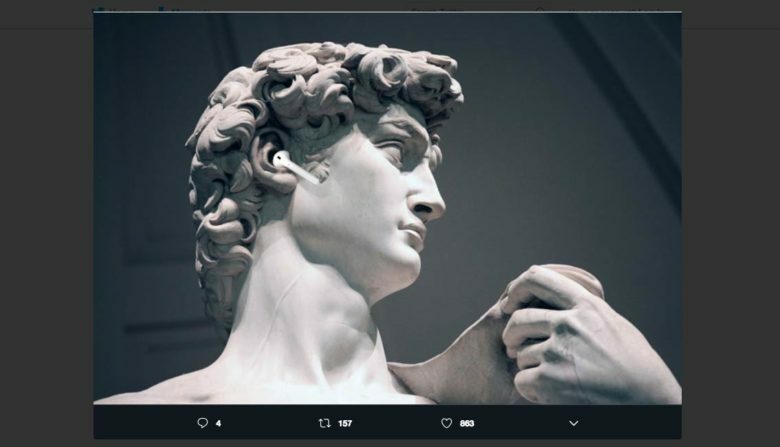 As does Twitter, which a New York City creative agency used to call on followers to Photoshop Apple AirPods into famous works of art.